As most of you probably already know, one of the experimental treatments for Gastroparesis is a Botox injection into the stomach through endoscopy. According to the Mayo Clinic, Botulinum toxin A (BOTOX) is a powerful inhibitor of muscle contraction. Botox is a nerve toxin most commonly known for its use in treating skin wrinkles but is experimental for Gastroparesis. Botox can be injected through an endoscope to relax muscles in the GI tract, including the lower esophageal sphincter (end of the esophagus) in achalasia, and the pylorus (end of the stomach) in patients with Gastroparesis. Researchers have found that Botox injections relax the pyloric muscle in some people, thereby allowing the stomach to release more food into the small intestine. The benefits are temporary, however, and more studies are needed to determine the overall usefulness of this treatment. I've read about it, did research on it, and asked people I knew who had it done questions about the procedure and if they would recommend it. Everyone I talked to had a great experience with it, so I decided that it couldn't hurt. Besides that, I was miserable and desperate. So, I'm going to walk you through the botox injection procedure, step by step in what I went through today. I have to admit I was nervous when I arrived at the hospital because I didn't know what to expect since I've never done this before. As soon as I walked in, I checked into the GI department. After I registered, I sat in the waiting room for a while. The nurse called me back and put my fancy ID bracelet on. She gave me a gown and told me to put all of my stuff in a plastic bag. I had to strip down to my underwear for the hospital gown. After I was ready, she came back in and placed my plastic bag under my stretcher so that it could ride with me. She also logged all of my valuables. She went ahead and applied the electrodes to monitor my heart rhythm, applied a blood pressure, and an oxygen sensor to take my vital signs. She tried to stick me for an IV, but missed the vein. So, they had to call in the IV team. Thankfully, the nurse on the IV team got me on the first try but had to use a really tiny needle for the IV because of my tiny veins. I was actually impressed because it usually takes them about six tries before they get it right. The nurse gave me Zofran through the IV because I was extremely nauseated (since I couldn't eat or drink after midnight nor take my medications) while I was waiting. I had a visit from the anesthesiologist and the doctor to make sure I didn't have any allergies, adverse reactions, etc. Then, it was time to take me back for the endoscopy. If you've never had an endoscopy, the doctor uses an instrument to examine the interior of a hollow organ or cavity of the body. 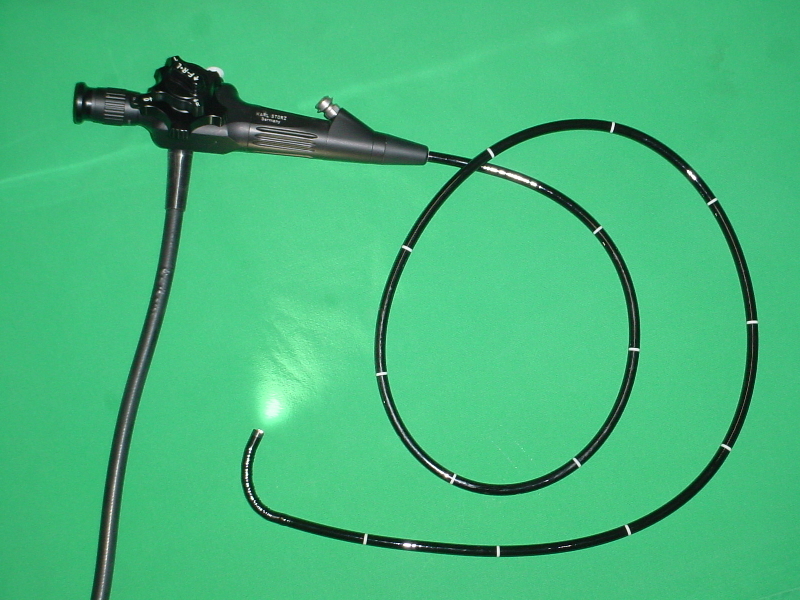 Unlike most other medical imaging devices, endoscopes are inserted directly into the organ and in this case, my stomach. Once I was in the room, the nurse had me lay on my side, facing away from the screen that the camera projects on to. 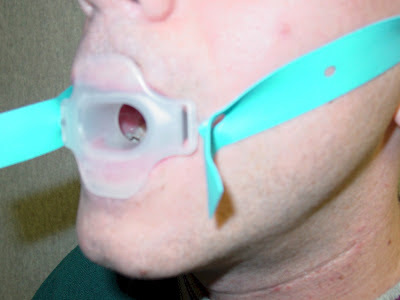 She put oxygen in my nose and told me to open my mouth and bite down on a solid green circle, which would hold my mouth open for the camera to pass through. The top picture is the bite block for an endoscope and the bottom picture is where the bite block goes. Source HERE. 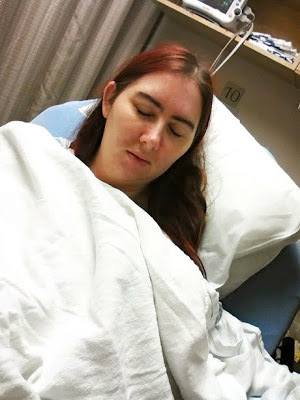 The anesthesiologist then began to push the medications to put me to sleep for the endoscope. The first medication he pushed into my IV made my ears ring like crazy and made me a bit dizzy. The second one he told me would burn, and it did! It burned all of the way up my arm, so much so that I had tears in my eyes. It didn't hurt for very long because I woke up in recovery after that. In recovery, the doctor visited my husband and myself. 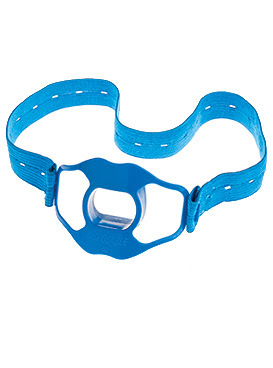 He said that if this doesn't help me, he would refer me to Augusta to a motility specialist there. After he left the room, the nurse came in, took my vital signs, and readied my discharge papers. She disconnected my IV, I got dressed, and she wheeled me out to my husband in our waiting car. That's all there was to it! I was still groggy when I got home so I slept most of the day. I will tell you that I'm having stomach spasms because of the injection today. I was told it would take a few days to subside. So, I will keep you updated on my progress. 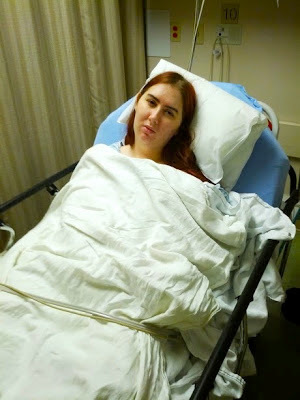 In the meantime, check out some pictures my husband took of me in recovery. I look so thrilled! Your blog is very nice and informative.keep it up. Thank you for your blog! I've had at least 2 scopes a year for recurring polyps in my stomach. Now tomorrow I will be going under again for polyp & this new procedure with botox. I am Scared! 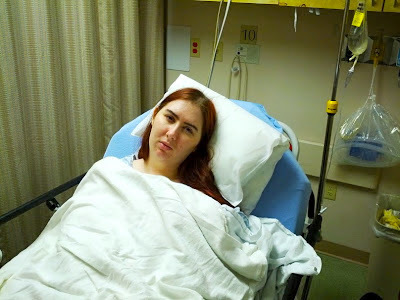 Side effects are usually bad with me & I end up back at the ER in the same day as procedure. So I need to do more research on this botox procedure! How are you now. Have you had the procegure again.